Nowadays, you can do just about any traditional office job from home. Proofreader? Check! Teacher? You bet! Nurse? Absolutely. Even though the world of remote work is ever-expanding, there are still some common work from home jobs that are more readily available than others. So, if you want to find the most opportunities so you can finally work remotely, these common work from home jobs are your best bet! Curious what they are? Read on for 5 of the most common work from home jobs. Content is king, or so the saying goes. Businesses, brands, and bloggers all need a steady stream of fresh content to reach new audiences and keep current readers engaged. But, not many people actually enjoy the content creation process. Even those who don’t mind it often lack the skills to write well. 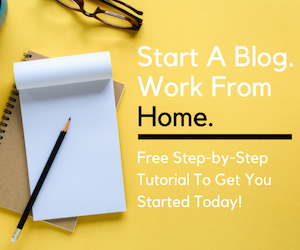 In the world of common work from home jobs, writers are often needed to craft blog posts, create website copy, or write perfectly-worded emails. 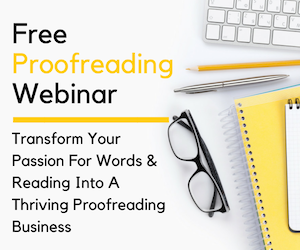 As a copywriter, you’ll use your wordsmith ways to help sell. Copywriters craft product descriptions, sales pages, and other verbiage to help turn readers into buyers. Search engine optimization (SEO) is big business. Website owners take advantage of strategically placed keywords to help their posts and pages get found in Google searches. As an SEO writer, you can write natural, keyword-driven content that falls in favor with Google. Email lists are how most online businesses make their money. Needless to say, the content they send to their email subscribers has to be on point. This also includes writing subject lines that catch subscribers’ attention and actually get opened. Big brands can post across all social channels, think Facebook, Twitter, Pinterest, Instagram, etc., upwards of 10 times a day. That’s a whole lot of pins, posts, and tweets that need to be worded just so to get in front of the right people. I Want To Work From Home As A Writer! That’s the spirit! Your next stop should be visiting my friend Elna Cain over at Write Your Way To Your First 1K. She’ll show you everything you can do to earn your first cool grand as a work from home writer. I know remote customer service jobs aren’t very popular. But the truth is, they’re one of the most common work from home jobs out there. Big businesses like Amex, Amazon, and Apple, to small startups like Meet Edgar, Buffer, and InVision all use virtual customer service reps to help their customers in need. What Does A Virtual Customer Service Rep Do? As a work from home customer service rep, you’ll work from your home office instead of a cramped cubicle. You’ll likely login to be available for calls. From there, you’ll answer incoming calls that are routed to you through special software. The type of calls you take depend on the company you work for and their business. Where Can I Find Remote Customer Service Jobs? I’ve written a lot about common work from home jobs that involve customer service. If you want to learn more, I highly recommend reading my article, Companies You Know And Trust That Hire Remote Customer Service Reps. It’ll help you learn a little more about the job and where you can find work. The healthcare industry is huge! In fact, health care is the largest employer in the U.S., and shows no signs of slowing. 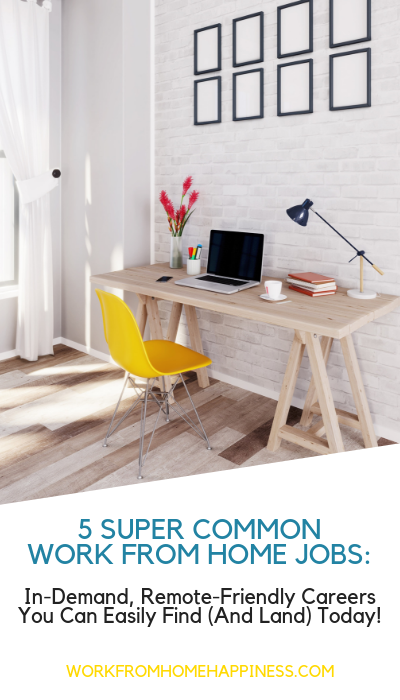 And, while you might not typically associate doctors, nurses, and medical pros with remote work, there are actually some common work from home jobs in this industry. One of them is medical coding and billing. When you go to the doctor or hospital, the facility bills your insurance for the services you received. Each of the procedures, tests, and items used to treat you are assigned a code. These codes are submitted to third-party agencies, like Medicare and insurance providers, for payment. As a remote medical coder, you’ll be the one who combs through patient records and accurately codes them. A recent survey found there were more medical coding jobs available than professionals to fill them. That’s good news for you, if you want to work from home in the medical industry. 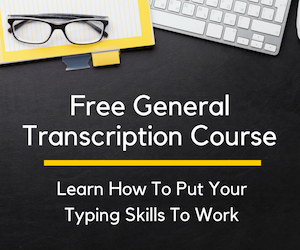 To learn more about this in-demand and common work from home job, check out my in-depth article on how to become a medical billing and coding pro. Did you know there are more than 1 billion websites in existence? Add that to the nearly 4,000,000 apps available for download, and that’s a whole lot of work to keep developers busy. Whatever their specialty, developers are the masterminds behind various websites, apps, and games that you regularly use on your phone, tablet, and PC. This industry, as a whole, is expected to grow more than 24%, which is much higher than the national average of all other jobs. Needless to say, it’s a common work from home job with lots of options for remote work. Great question! There is no set path a developer should take to secure employment. Instead, you should figure out which type of developer position interests you. Maybe you’ll be more inclined to favor UX design or love the idea of ruby on rails. Only you can figure out what developer position will work best for you. The good news is, there are plenty of free resources out there to help steer you in the right direction. One of my favorites is Codecademy. You can hop on Codecademy right now and dive into the world of coding. In a day’s time, you can learn some fundamentals that’ll put you well on your way to becoming a work from home developer in no time. Businesses simply wouldn’t be in business without sales departments. After all, sales brings in money and money keeps the lights on (even virtually). And, as far as common work from home jobs, there are plenty of sales options to choose from. You might work for a software company selling directly to businesses. Maybe you’ll work for a large telecommunications (think internet service provider) company selling monthly subscriptions to consumers. Keep in mind, it takes a certain set of traits to be successful in sales — and it’s certainly not for everyone. But, there are tons of opportunities to work remotely as a sales rep if you’ve got the desire to succeed. Remember, this list is only about 5 common work from home jobs — there are a lot more options out there. P.S. This post contains affiliate links. Learn more about them by checking out my disclosure statement. How long do you think it would take to learn enough code to start working remote? How would you recommend we look for coding jobs that will give us a chance? And would I still be able to make a living online from your article, piecing a living online ? I would be interested in work at home jobs, but I live in Canada, so I am not sure that your jobs apply to me. Please advise if someone in Canada can apply to these jobs as well.